Warhammer Tau: Defeat for the Tau! We had an 800 point game last night and my Tau were soundly defeated. The beginning of the battle had looked promising, as I nearly wiped out the Eldar Guardian Squad. Unfortunately they managed to avoid running from the table and so kept their Scatter laser in use. About that point my dice rolling returned to form and I was getting well below average results. This made it particularly difficult for me to even dent the armour of the advancing Wraith Guard Squad. My commander had joined a squad of 2 battlesuits which gave three suits equipped with Plasma Rifles and Missile Pods. In two rounds these only managed to inflict one casualty per round on the Wraith Guards. Then, unfortunately I left them a little too close and the Wraith Guards caught me in assault which finished off my unit! Check out the rest of Elmo9141's gallery HERE! I've noticed not a lot happening with the site which I feel is a shame. 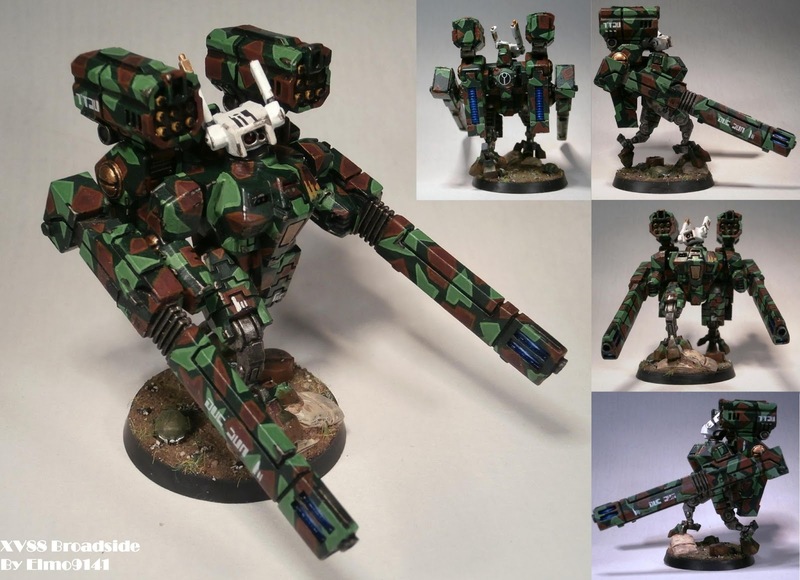 I've been playing Tau for about 18 months now and was wondering if maybe I could contribute? 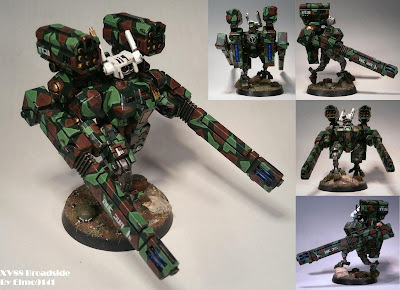 I think I've got meaningful things to say in regards to the Tau in the form of modeling, painting, and tactics. Shoot me an email if you're interested. Drop me an email at ironmammoth AT gmail DOT com and we can work something out.